Justin has over a decade of local church ministry. Justin’s first pastoral role was at the age of 21 as Senior High Pastor to over 400 students at Emmanuel Christian Center. In 2002, Justin and his wife Andrea moved to Red Oak, TX (Dallas), to serve as the Young Adult Pastors at The Oaks Fellowship. 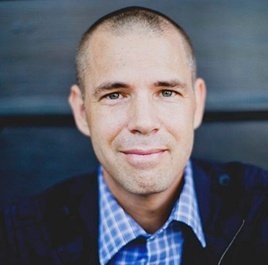 Through the years Justin has served in various capacities at The Oaks that have enabled him to connect with pastors and ministries all over the nation. Because of those connections Justin soon became the person to talk to when hiring a new staff member for your church and in 2009 Justin founded HelpStaff.me. Justin serves as the Treasurer of the Board of Directors for Life School, a charter school with 5 campuses and over 3700 students. He is also the co-founder of The Oaks School of Leadership, a innovative church-based training school for pastors. Currently, he serves in the role of Executive Pastor of Strategic Development for The Oaks Fellowship. Justin and his wife Andrea are the proud parents of two children, Parker and McKenna.